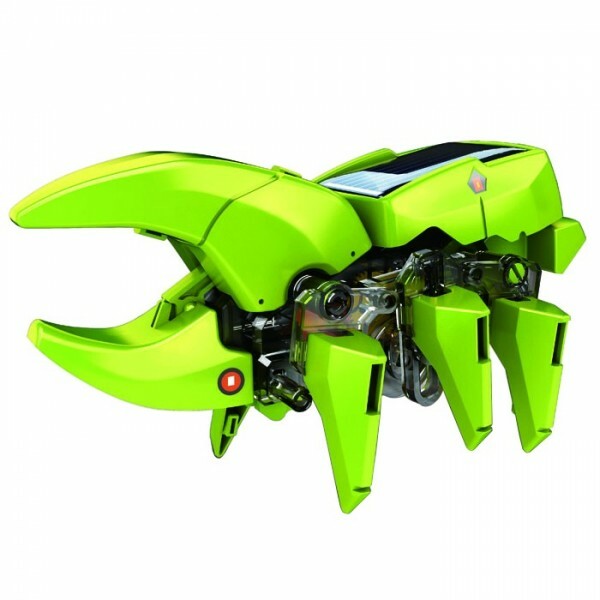 The T4 Transforming Solar Robot set transforms between four different types of solar powered robots. This set introduces children to the use of solar power to achieve mechanical movement. 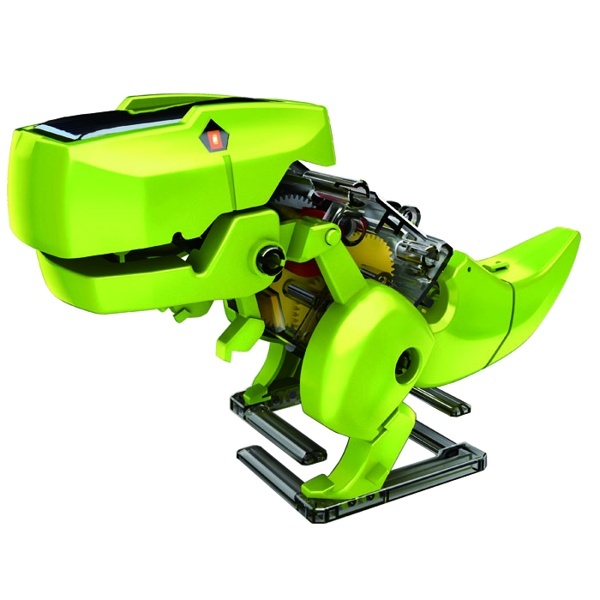 The set transforms between four unique robots: a two legged biting T-Rex dinosaur, a six legged walking Insecta, a two legged walking Robot and a Drill Vehicle. 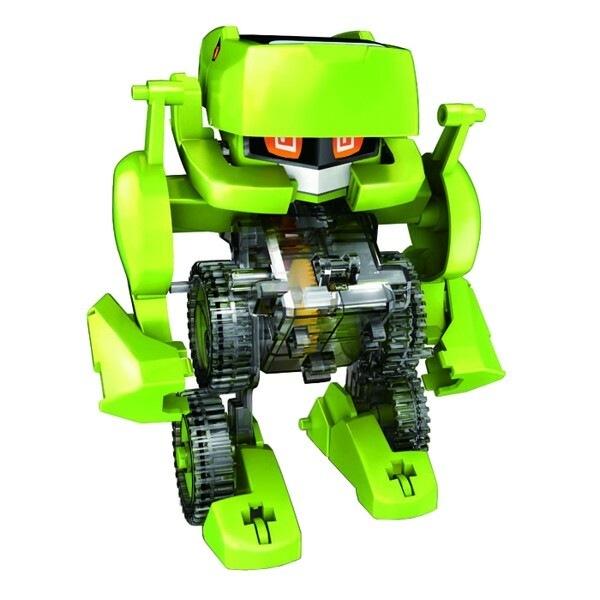 The T4 robot construction set comes with large pieces that be easily handled by younger children. 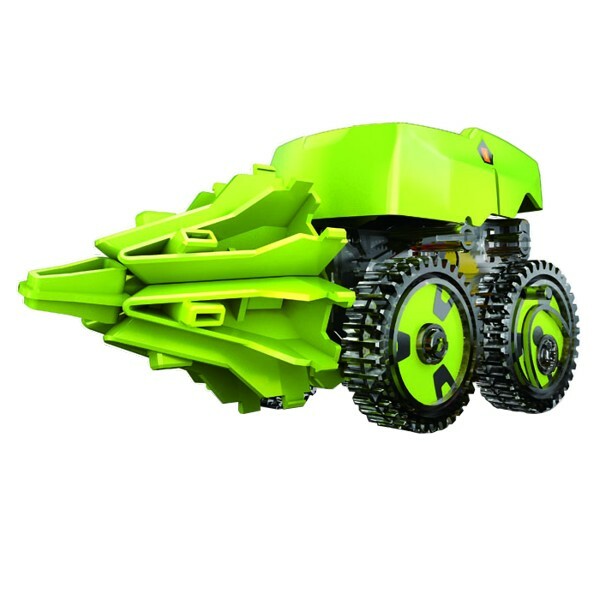 Each robot variation is four or five inches in the longest dimension.